Dawn is a psychiatrist with the top-rated show in the country. 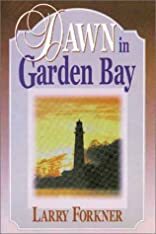 But when she begins to feel dissatisfied with her life, she runs home to the small town of Garden Bay, Oregon, to sort things out and to seek answers. About Larry Forkner (Author) : Larry Forkner is a published author. A published credit of Larry Forkner is Dawn in Garden Bay.